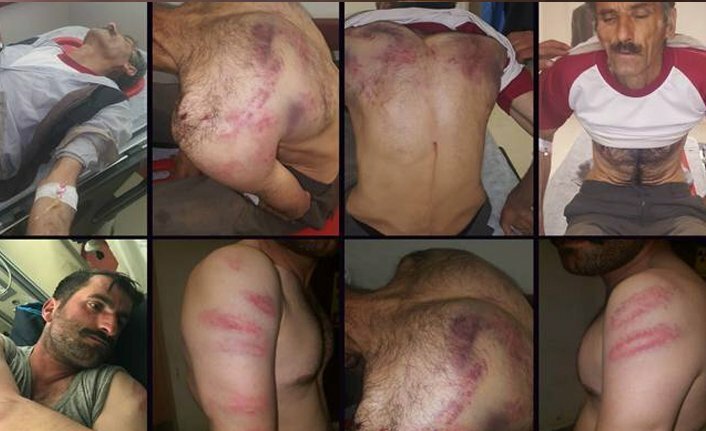 Two villagers from Turkey’s Kurdish-majority Hakkari province have been tortured for hours by a group of soldiers while they were shepherding their sheep, according to media. Mezopotampya online news agency said Friday that Ramazan Tas and Nasır Taş, two shepherds from Hakkari’s Yufkali village were stopped by a group of 8 soldiers at a rural area early Thursday. Questioned over whereabouts of some wanted militants of the outlawed Kurdistan Workers’ Party (PKK), the villagers were beaten up by soldiers. “We told them that we had just got up to lead our sheep for the grass and that we did not know about the PKK people. As soon as we said this, they began torturing us in no time. They grasped the wooden stick in my head and hit me with it. Then, they beat us with their guns… After that, they took me to the side of the creek and dunked my head into the water. ‘You are a terrorist,’ they said and beat us for more than 2 hours,” Nasir Tas, under treatment in Semdinli State Hospital, told Mezopotamya. Tas said their relatives found them unconscious at the place they were beaten at around noon.